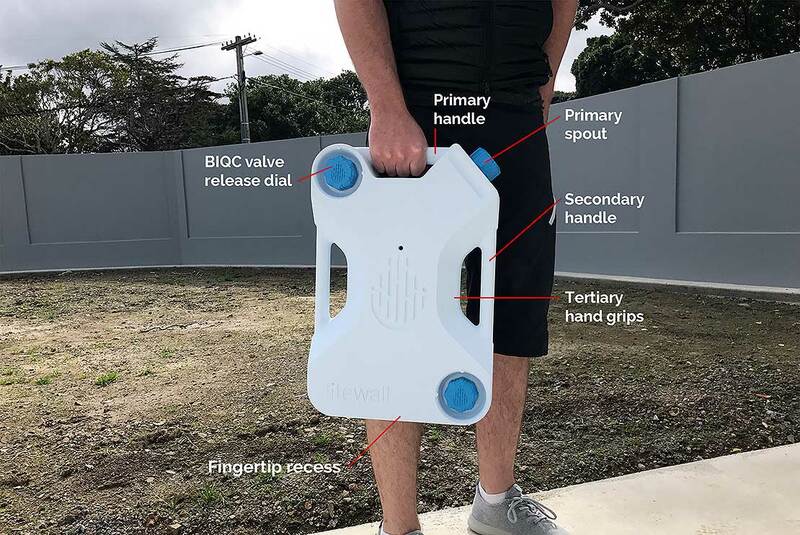 Michael Scott Jones’ award-winning emergency water storage system called Lifewall which is on display at the Exposure exhibition on Massey's Wellington campus till November 17. The Awards, sponsored by lighting and furniture business ECC, encourage innovation and creativity while at the same time giving students the opportunity to experience the creative industries more closely. Mr Jones’ design Lifewall, which can be seen till November 17 at Massey’s Exposure exhibition, can be connected to a water system to filter and store water into new and existing residential homes. The stored water is automatically renewed by the daily use of the living space, such as kitchen or bathroom, Mr Scott Jones says. Every time the tap inside the home is used, the water supply moves through Lifewall renewing the supply. In this way it can be refreshed throughout the day, and then automatically isolates itself should an earthquake strike. The product aims to increase community water resilience and security and reduce the human impacts that follow natural disasters due to the disruption of water supply networks, Mr Jones says. 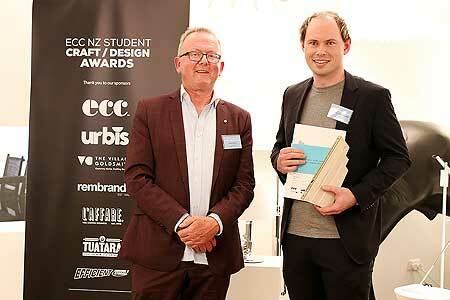 He wins $2000 for his design which is also part of the Exposure exhibition of final-year work by art, design, creative media and music students at Massey’s College of Creative Arts on the Wellington campus. “It’s a whole lot of recognition all at once,” he said of being both category and supreme award winner at a time when his work is being exhibited too. “It’s just a big sigh of relief and pride to know I’ve now developed a product that has this much potential to help a lot of people ahead of any natural disaster. It’s awesome to have your name associated with something like this. “Over 60 weeks were spent product testing and validating the design into a fully-functional design concept that is proven to work,” he says. Mr Jones has already received commercial interests in his design which was still at prototype stage with further refinements needed. Other winners of ECC Awards included Massey University industrial design students Elizabeth Cassels, Matthew Robilliard, Shubham Ghanatha and Leslie Meadows who won the ECC Lighting Award with Ohm, an exquisitely crafted and sophisticated interactive wall lamp. A quirky bird feeder called Nib by Sophie Lemaire-Sicre from Massey won the Tuatara Ceramics Award. A new category, the L’affare Innovation in Sustainability Award was won by Justin Bain from Victoria University for a clever use of recycled sheets of HDPE plastic that was transformed into outdoor furniture called Replas Suspender. The Village Goldsmith Jewellery Award went to Grace Yu Piper from Whitireia for necklace Fitting #5 inspired by a simple children’s toy – a pegboard and hammer. The Rembrandt Fashion and Textile Award went to Hope Duncan from Otago Polytechnic for her textile piece Beautiful Deception featuring hidden plastics. Each of the category winners received $1000. The People’s Choice Award, which is decided by a public online voting system was won by Hanne De Ridder, Clara Gan and Zene Krige all of Massey University for Rewa, a floor lamp inspired by glaciers.